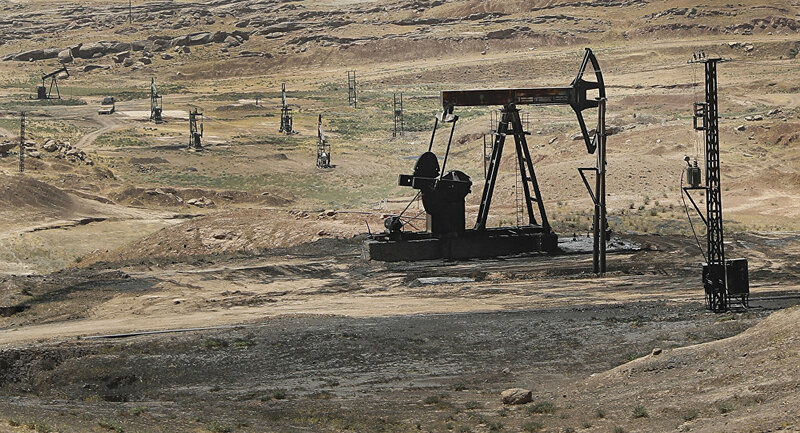 The agreement between the Syrian government and the Kurdish People's Protection Units reportedly applies to one of the most productive oilfields in Deir ez-Zor, a province held by Daesh militants till October 2017. Damascus has agreed with the Kurdish YPG militia on sharing oil from the Al-Omar oilfield in the Syrian province of Deir ez-Zor, the Anadolu News Agency reported, citing an anonymous source in the province. According to the media, the Kurds will give the Syrian government 100 barrels of oil produced in Al-Omar in exchange for 75 barrels of fuel. Damascus has not yet provided any comments on the reports about the alleged deal with the YPG. Until recently, the Al-Omar oilfield was under the control of the Daesh terrorist group. The whole province of Deir ez-Zor, where the oilfield is located, was besieged by terrorists for three years, beginning in 2014, but successful military operations carried out by the Syrian Army led to an almost complete expulsion of terrorists from the area. On November 3, 2017, the Syrian government forces declared the full liberation of the city from the terrorists. Syrian President Bashar al-Assad stated earlier that the government was willing to negotiate with the Kurdish-led Syrian Democratic Forces (SDF), which are dominated by the YPG, but if the talks fail the army will resort to force to liberate the country. The president also noted that "most of the SDF supporters are Syrians," which makes Damascus believe that "they also love their country and do not want to be the puppets of foreign forces." The SDF is an alliance of Kurdish militias mostly dominated by the YPG. The SDF is named as the official defense force of the Democratic Federation of Northern Syria, also known as Rojava, which was created by the Syrian Kurds in 2016. At that time, Damascus said that the move had no legal power. In late September 2017, Syrian Foreign Minister Walid Muallem said that the government was ready to discuss the issue of the Syrian Kurds' self-governance once the fight against Daesh is over. Syria has been embroiled in civil war since 2011, with numerous opposition factions and terrorist groups like Daesh trying to topple the government of Assad and establish control over the country.